Reinforced ply systems add a strengthening ply of fabric between layers of acrylic roof coating. Experience a long-lasting fix for leaks, cut your energy consumption, and end water pooling with reinforced ply systems. 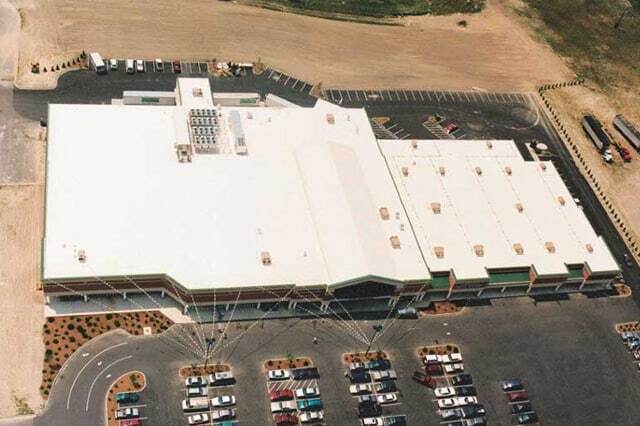 The roofing system harnesses the toughness of fabric to reinforce your roof. 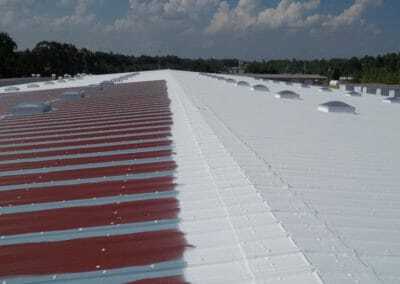 The result is an exceptionally strong roof that is virtually maintenance-free. These systems are custom built and take into account the particulars of your existing roof. The existing roof is prepared usually by power washing to remove oil, dirt, debris, and oxidation. An acrylic base coat is sprayed on and brushed or rolled on where necessary to create the foundation of the reinforced ply system. A special layer of polyester fabric is laid. 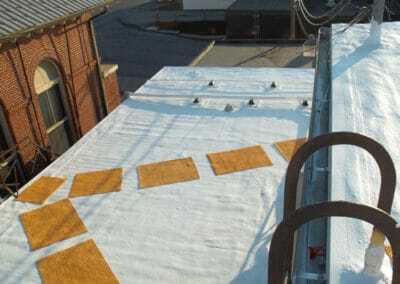 This seals any seams or breaks on your existing roof surface, with the base coat and fabric engineered to bond tightly. 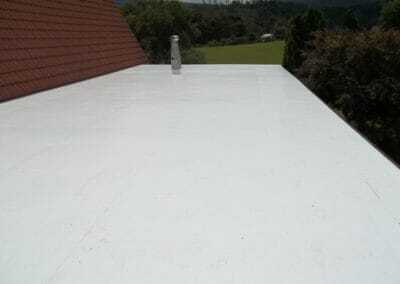 A second layer of base coat goes on so that the top side of the fabric has a bonded base coat, followed by a specially engineered top coat that completes the reinforced ply system roof. It’s a Conklin product whose effectiveness we successfully prove again and again. The result is a four-ply watertight membrane with extra strength from the embedded fabric. It stands up to weather, resists flying debris, and both expands and contracts in temperature changes to eliminate the possibility of cracks. On top of everything else, Skyline Roofing can offer reinforced ply systems of a reasonable price, saving a ton of upfront costs. Call us or fill out our online form to get a free estimate on single ply or reinforced ply systems. 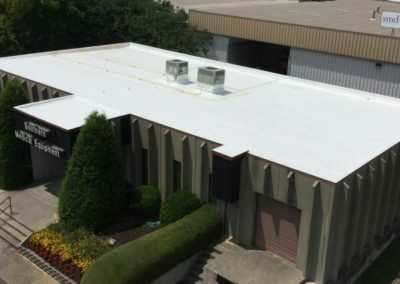 From restoration and re-roofing to coating applications and maintenance, Skyline Roofing is equipped to handle any commercial roofing project. Take a look at our most recent work.